BREAKING: Witnesses are wanted in the shooting on Interstate 695 near Harford Road that happened Sunday, police said. BALTIMORE COUNTY, MD — A road rage incident on Interstate 695 left a woman in serious condition Sunday and temporarily closed the inner loop of the beltway in northeastern Baltimore County, according to police. The woman was driving when she was shot near Harford Road by a passenger in a black Nissan sedan, police said. 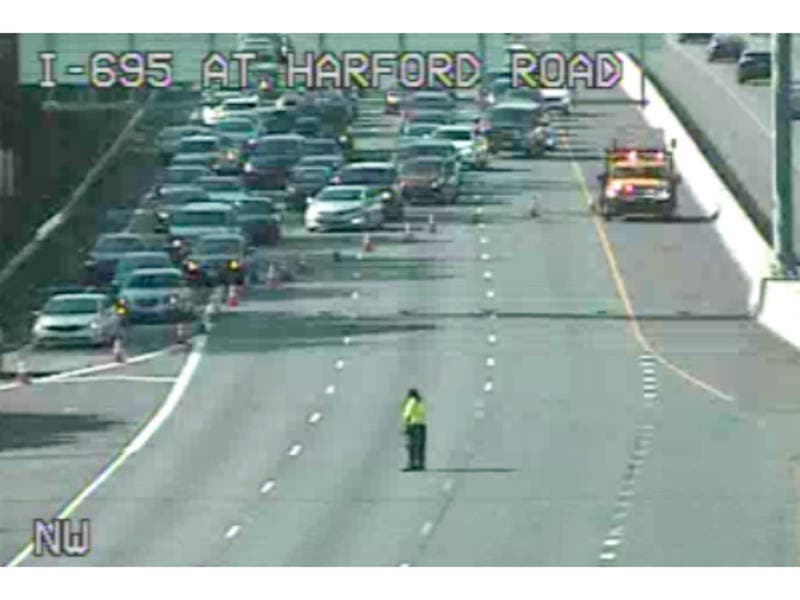 Authorities said two vehicles — a white van and and the black Nissan —were involved in a road rage dispute on I-695 around noon on Sunday near Harford Road. When a third vehicle tried to pass them, police allege the driver was shot by a passenger in the Nissan. The 49-year-old woman driving the 2018 Subaru Outback is in serious condition, officials said Sunday afternoon.